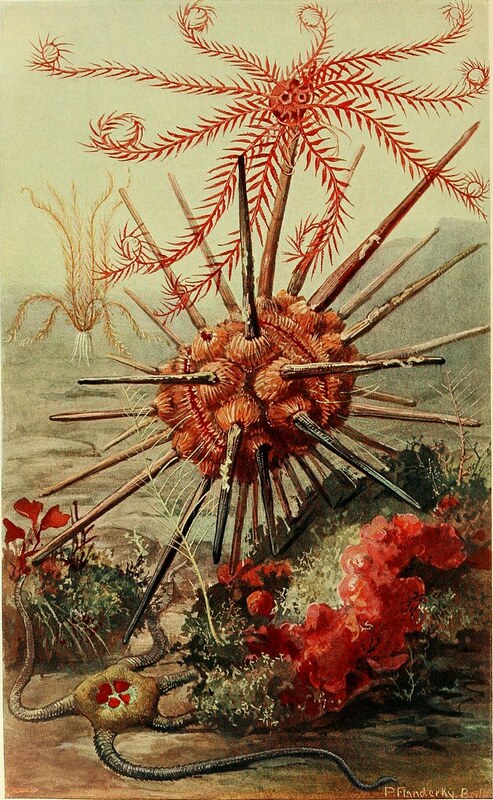 The Echinoblog: Great Echinoderm art from the Biodiversity Heritage Library! 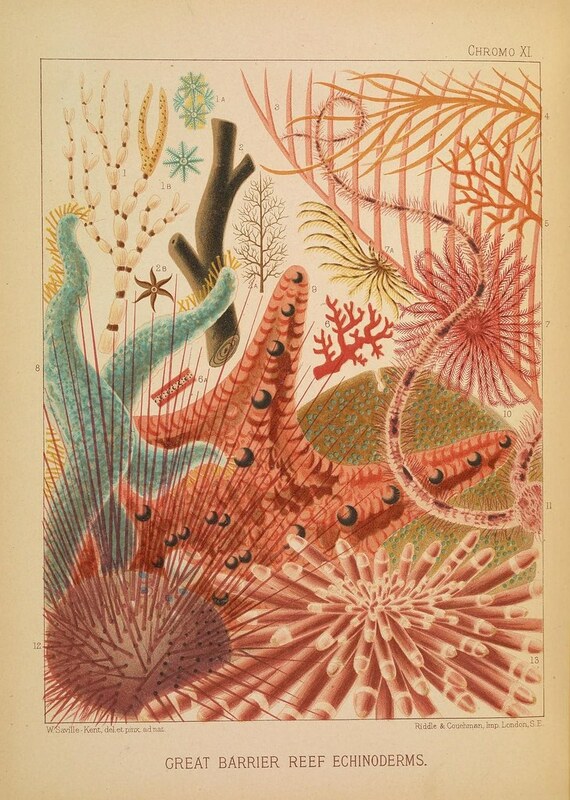 Great Echinoderm art from the Biodiversity Heritage Library! 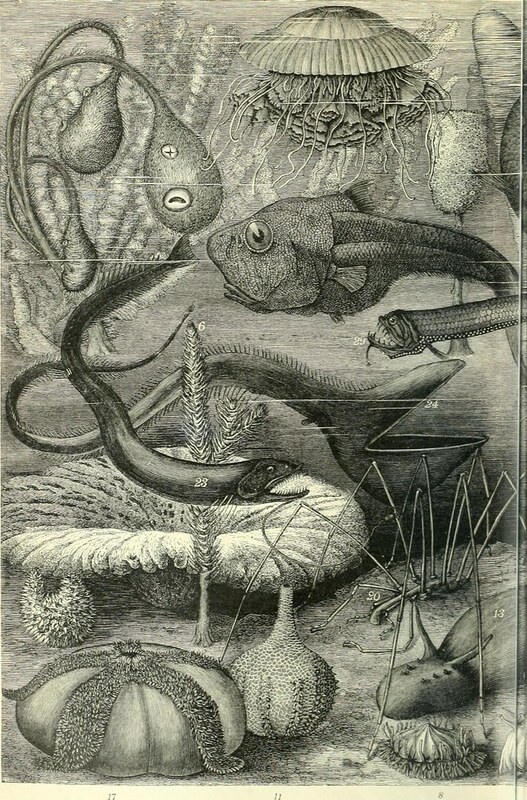 So, while we are waiting for the next leg of the Okeanos Explorer to begin this weekend, I thought it would be a good time to share some newly uploaded illustrations scanned from classic monographs by the Biodiversity Heritage Library and the Internet Archive Book Images Flickr site. 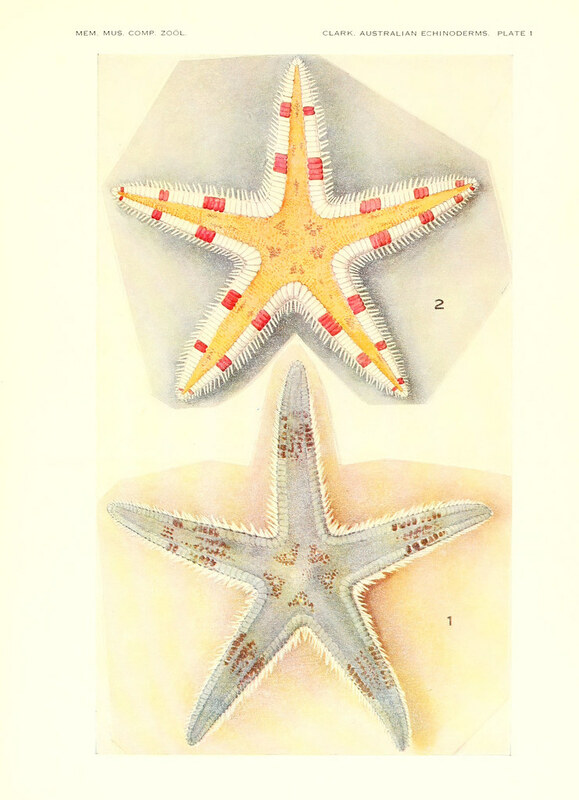 Here are a couple of lovely color plates of echinoderms from the Great Barrier Reef from H.L. 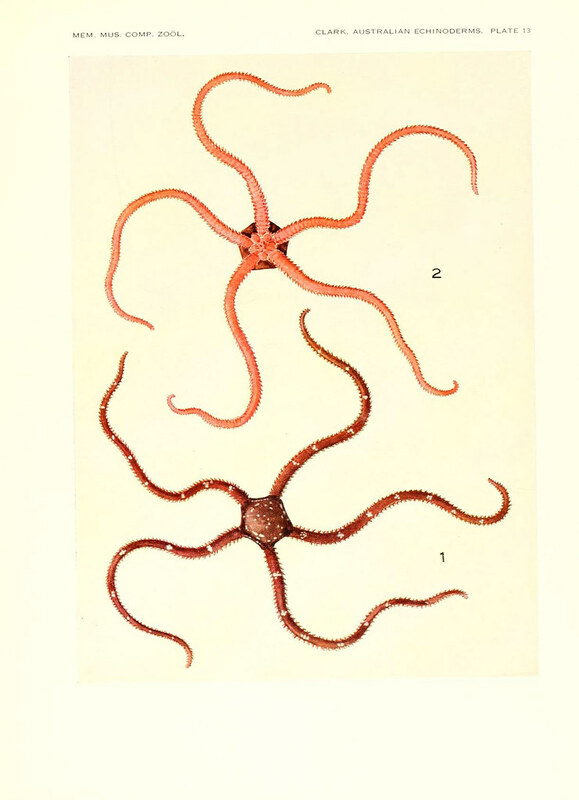 Clark's monograph on the Echinoderms of Torres Strait. And here's some great Deep-sea Echinoderm Pics! 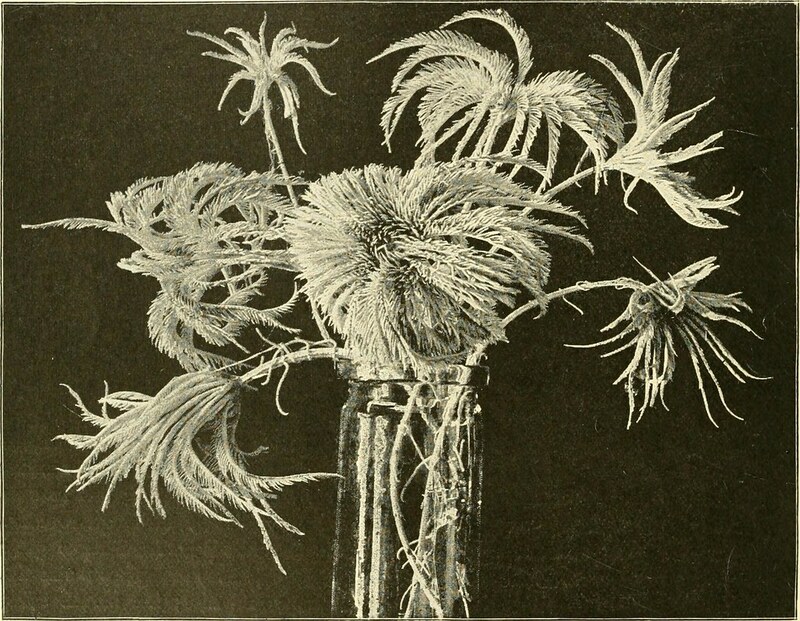 A bouquet of Isocrinid stalked crinoids! 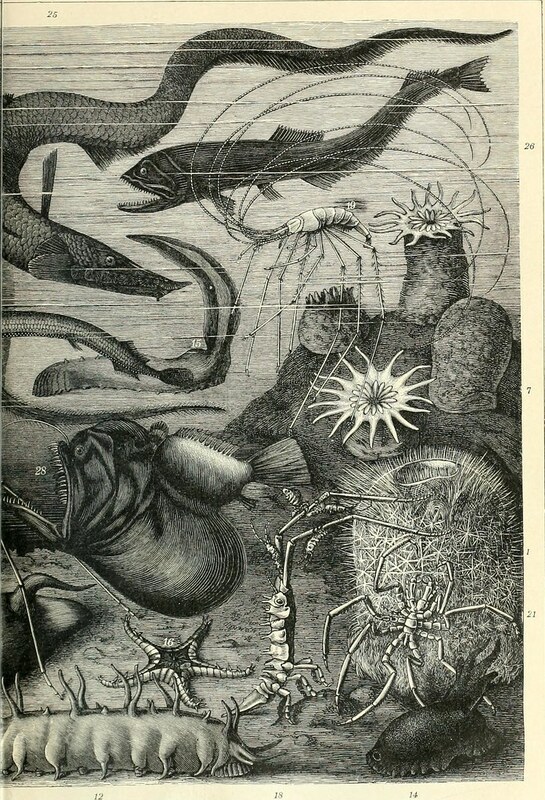 Probably one of the COOLEST things I found was this deep-sea illustration from the Brockhaus Konversations-Lexikon, 1892. Some kind of natural history/science encyclopedia. 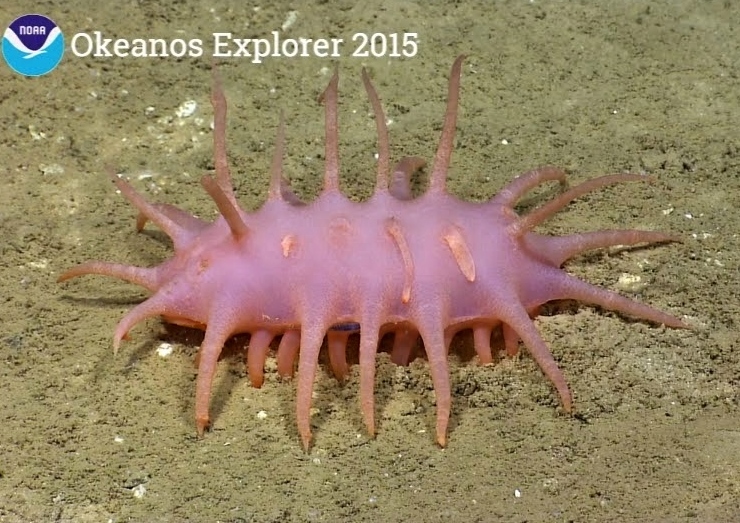 It included many, MANY deep-sea animals we see today from Okeanos (and other) video. below I've presented images of these plates along with some images of comparable living species. 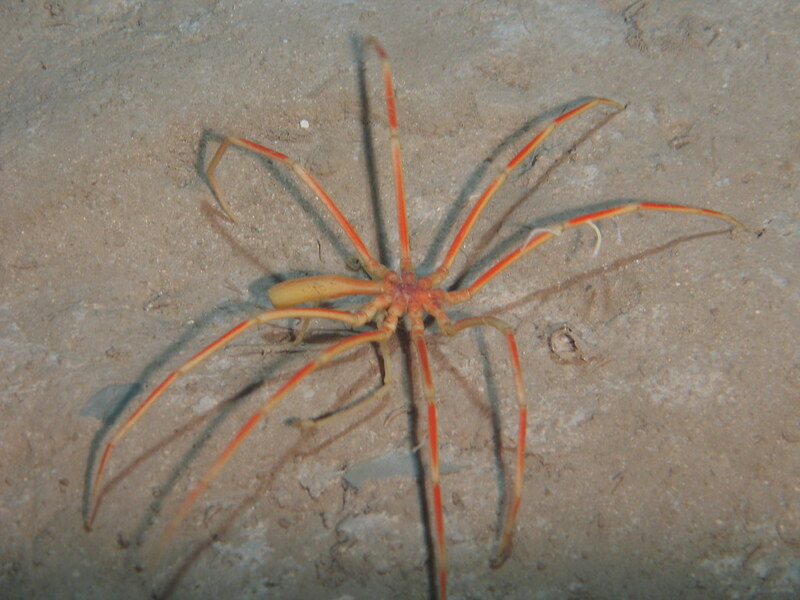 Here's the giant deep-sea sea spider Colossendeis in comparison with #20 above. How about the Styracaster though? 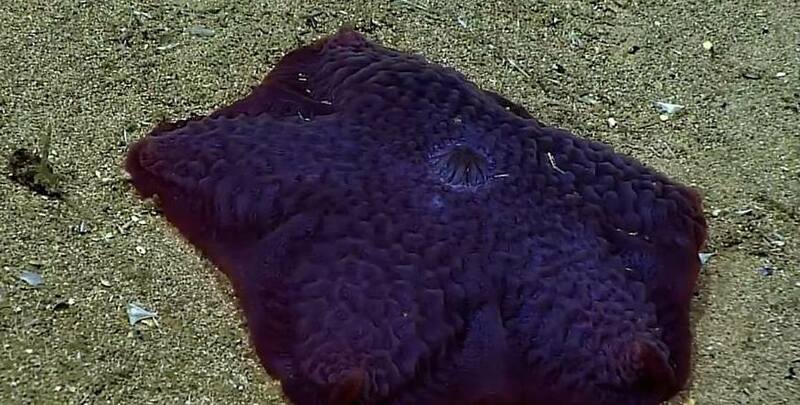 Are they normally seen above the substrate during ROV observations? 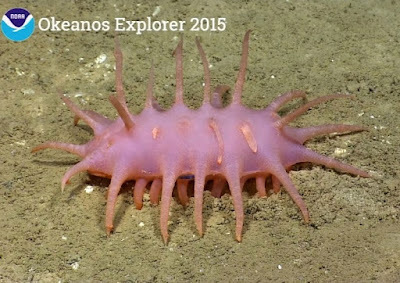 I've seen porcellanasterids above the sediment, but its hard to say how regular that is among individuals. 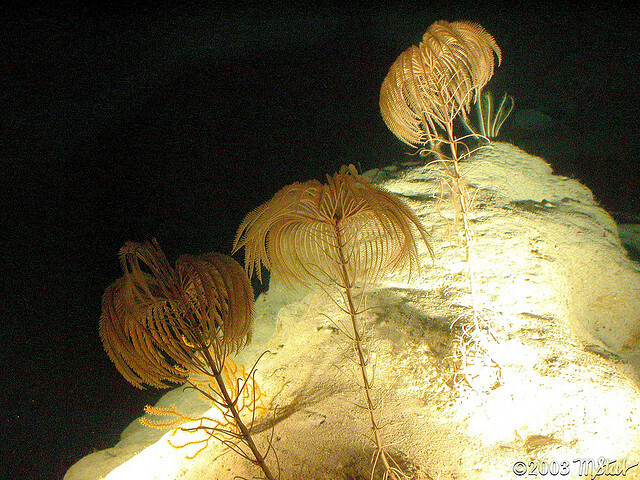 If they are buried, then ROVs might not be observing all of them.. so it depends.